We've had a few delays, a long promotional DJ tour, and a bit of advance warning ... but at long last the new mix CD from Q-Burns Abstract Message : Agave Nectar Vol. 1 is now available to order online! 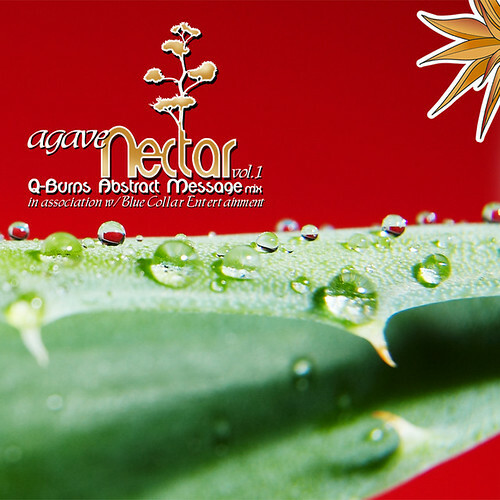 We are pleased to announce the release of the first commercially available mix CD by Q-Burns Abstract Message : Agave Nectar Vol. 1. For this mix Q-BAM partnered up with Orlando house stalwart Agave Records to feature choice tracks from the catalogs of Agave and its family of labels (Viva!, Lingo, Kolour, and Q-BAM's own EIGHT-TRACKS label). WIth cuts and remixes from names like Johnny Fiasco, Joey Youngman, Lawnchair Generals, Funky Transport, Jay West and many more this bouncy and ecstatic DJ mix is sure to provide an instant nightclub party wherever it's played. Q-Burns Abstract Message - Agave Nectar Vol. 1 is distributed exclusively by our friends at Groove Distribution. You can listen to excerpts of the CD and purchase it by clicking HERE. Also, be sure to visit the Agave Records Web Site for more information. As always, please get in touch if you are a music journalist, radio person, or record store/retail distributor and are interested in our releases.